For 27 years, Russell Peacock worked in the nuclear submarine force in the U.S. Navy. It was there where he earned his mechanical and electrical experience. 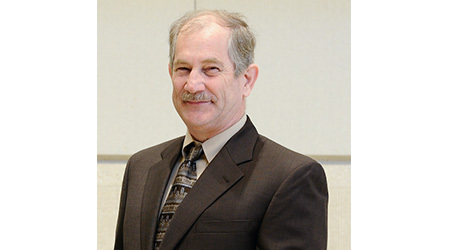 After retiring from the Navy, Peacock was hired by Florida Blue, a Blue Cross Blue Shield association, as the senior director of facility operations. For the past two years, Peacock has been working on implementing companywide sustainability goals with projects focusing on energy and water savings. Being responsible for renovating 2 million square feet, Peacock and his team have reduced water use in their facilities by 21 percent, or 168,000,000 gallons, annually. Q: Where and when did you begin your career in facilities? I began 10 years ago working for Florida Blue. So, I have worked my entire career in the commercial maintenance industry. In the Navy for 27, I worked specifically in the engineering department, and that is where I got all of my experience and skills in mechanical and electrical background. In addition to that, I earned my bachelors of science degree in engineering technology, mechanical, and a minor in project management from Old Dominion University. Q: What are your daily responsibilities? I manage a maintenance portfolio of about 3 million square feet. My company owns about 2 million of that. We have a very large campus in Jacksonville, Fla., which is our corporate campus. We also own a 22-story high-rise that was our previous corporate home, and we own a 75,000-square-foot data center, all in Jacksonville. In our facilities. I own every bit of it — the capital planning, all of the service contracts for the services we outsource, which are janitorial, landscaping and those sort of things. I do the contract negotiations for our HVAC and service contracts. I really have a list full of responsibilities. I have some fairly senior managers that work for me at various properties. A lot of the success we have is having trust in my managers and fairly laying out their responsibilities. Q: What rewarding and challenging about your job? We are doing a lot of the building renovations, and I have been given free rein to make decisions on things that would be good for the company. I looked at all of the chiller manufacturers, and we were given full rein to pick the best one. We ran a 25-year cost of life, and it was rewarding to make the decision. We have a few plants operating, and it’s good to see we are actually getting the energy savings that were promised by the vendor. Dealing with a very high-paced work environment can be challenging. Having priorities shifted in the middle when you are planning something can be difficult sometimes. There is still the day-to-day stuff going on in the background while you are trying to plan three years down the road while you still have to deal with what happened today. Q: Describe the plumbing project that took place. As we are renovating our facilities, we are actually doing two things on the water savings side. We installed water softeners that feeds the cooling towers. That was a recommendation by the water chemistry company we used. We are installing those water softeners and putting them to use, which gave us a lot of water savings — on the order of about 15-20 percent water savings. The other thing we are doing is completely renovating the bathrooms in our buildings. We primarily did that because the sewer piping was cast iron, and we were having problems with cracking in the line. While we did that, we added low-flow toilets throughout the facilities, and they have given us water savings. We actually repiped the whole building, too. Q: What factors led to the decision to upgrade? Corporate social responsibility is an integral part of Florida Blue’s culture and business activities and is one of five of our key performance indicators. Ambitious companywide goals target reductions in energy consumption, water usage and waste to landfill. We initiated sustainability goals at our corporate level for energy, water savings and recycling. Those have caused us to focus on the energy and water savings. Therefore, we go out and look for projects that do that. This project started two years ago. We took about nine months on the first projects. Then the next two we were able to do in six months each. Now the fourth building we are doing is 20 percent bigger and eight stories instead of six. For several reasons, this project will take us nine months, and we will go back to the six month timeline after that. Overall, this entire project will take about four years to complete. Q: How did the facilities operations and activities affect the planning and operation of the project? We were fairly fortunate that when we did the building renovations, we had enough excess space on our campus that we were actually clearing the whole buildings out. This way, we were not affecting our customers and telling them they could not use the bathrooms while we were working on them. For us, we were doing a full renovation of the entire buildings, so we were just moving people out of the buildings. That in itself does require a lot of coordination of finding the space for the people, making sure their teams can stay close enough so they can continue to work. Scheduling all of those move-ins and move-outs is actually quite a bit of work. Q: What challenges did you face during the project? We went in wanting to do a design that would have the soap dispenser and hand dryer all in the sink, but we found that to be too expensive. We then had to take a step back. Now the soap, faucet and hand washing are right there, and we could co-locate the paper towel dispenser close enough so it wouldn’t make a mess. Q: What lessons did you learn from this project? In the end, we are going to renovate seven buildings, and we are on building four right now. The first building is where you learn all of your lessons. We were smart enough to give ourselves more time with the first project. We knew we would run into some schedules issues and have to select different materials and that kind of stuff. That would be the advice I would give. If you have a repetitive project, make sure you don’t push yourself too hard for an unrealistic goal. Make sure to finalize the process before you move on. Q: Has the project delivered the intended results? This complete project has involved more than just a plumbing and restroom upgrades. We have changed out a whole chiller plant — chillers, cooling towers. We put them all on variable speeds and made sure we selected the most efficient one. We added all LED lights with motion sensors to the conference rooms and dimming systems along the windows for light harvesting. We are seeing about a 25 percent reduction in our energy costs. Between the water softeners and the low-flow toilets, we are probably at around 22 percent on the water savings side. The cooling tower water softener is the large chunk of that. For us, the cooling towers are by far our biggest user of water. When the project is fully complete, on the energy side, we are expecting well over $500,000 savings in annual costs. We also have maintenance cost savings that total about $250,000 annually.